While one’s definition or perception of aging may differ we all can agree, things change within our body and it’s not usually for the best. No one wants to lose energy, deal with the risks, complications, and symptoms of heart disease, speed up their biological clock, brace for loss of memory or grab their back every time they bend over. 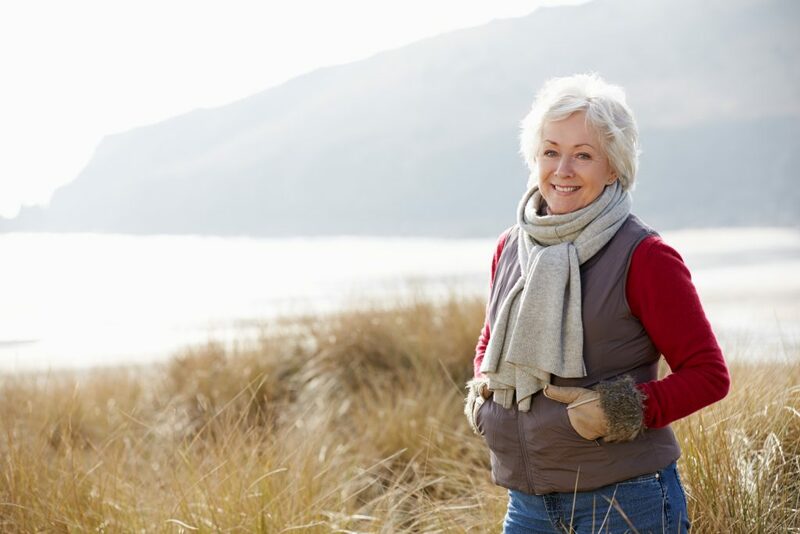 While there are no doubt genetic and environmental factors that play a role, most of the symptoms that accompany aging can be slowed and even reversed. There does exist a solution. Without question, the most powerful solution we have at our disposal in our battle with Father Time is strength training. The results we need to age successfully are all about the pursuit and production of increased strength. The potential for strength training lies in its ability to rejuvenate and rebuild bigger and more powerful muscle fibers knows as Type II or fast twitch muscle. The amazing thing is that this potential can be unleashed with very brief (20 minutes), infrequent (1-2 times a week) and most importantly, very safe (customized technology) way. Cellular health has been linked to mitochondrial health (the powerhouses of cells) and telomere length (chromosomal endcaps the length of which can determine the lifespan of a cell or organism). While we can’t exactly see what’s going on beneath the surface, research has shown that mitochondria, the energy generating mechanisms in cells, will not only jump start and increase energy production but also reverse the very genetic profile of our DNA with meaningful exercise. Furthermore, telomere length has been theorized to actually determine the biological lifespan of an organism. Telomeres split, shorten and weaken as we age as the result of several factors, the prevention of telomere destruction can be managed with the production of telomerase. Telomerase is a byproduct of meaningful exercise. Even one bout of higher effort exercise will stimulate the production of telomerase while consistent exercise only serves to amplify the effect. Insulin Resistance is a major predictor of the effects of aging. When that becomes an issue (and it does due to a combination of excess carbohydrates and lack of meaningful exercise) a host of more ailments such as weight gain, high blood pressure/triglycerides/LDL, pre & Type II diabetes and more can occur. These symptoms are all a function of processes in the body going bad. However, they are all reversible. By partnering the powerful combination of whole food nutrition with strength training, insulin resistance can be reversed. Strength training not only stimulates greater glucose metabolism during and right after a workout but triggers an adaptive response for more muscle and thus greater metabolic potential for the next workout. This compounding effect leads to improved insulin sensitivity due to the improvements in muscle strength. To most people, however, aging and its affects influence the way we feel and think. We don’t need a science textbook or a Ph.D. to recognize the older we get the slower, heavier, lazier we feel. Heck, those signs of aching joints and brain fog could be small blimps on the radar or a wake-up call. While we acknowledge ‘slowing down’ is part of life, what many don’t understand is the direct correlation that exists between how we feel (the slowing of our metabolism, loss of mental sharpness and mobility) with the loss of muscle mass. While we start losing muscle mass in our 30’s, it accelerates over time if nothing is done about it. While aging and inactivity are mostly blamed, it is truly the lack of deeper and more meaningful muscle fiber stimulation that is responsible for how we feel. The most common correlation associated with aging is the loss of muscle and strength which affects our metabolism, bones and mental acuity. In fact, greater muscle strength has been linked not only to reduced mortality in men, but also faster metabolisms and improved cognitive function as well. Strength training means slowing and reversing the aging process at the cellular and genetic level, increase your energy, protect against the effects of aging, improve insulin resistance (the kindling for all sorts of diseases), reduce mortality and improve brain function. Exercise can reverse your biological age by nearly a decade, give you more energy, maintain a healthy lifestyle, help you avoid aches and pains, and protect your brain and cognitive ability. Please give any local Exercise Coach location a call for your complimentary test drive and tell them Father Time sent you.